One of the main moral lessons learned from the Book of Genesis is that the flourishing cities of Sodom and Gomorrah were destroyed because of their cruelty toward the poor and helpless, and their rife moral corruption. Indeed, the phrase “Sodom and Gomorrah” is used until today as a metaphor for utter depravity, based on what the Bible says about the decadence of these cities’ residents. Before turning to the archaeologists’ findings, let us examine the background of the story and see how the Bible describes the area where the calamity occurred. Lot raised his eyes, and he saw the entire plain of the Jordan, that it was entirely watered; before the Lord destroyed Sodom and Gomorrah, like the garden of the Lord, like the land of Egypt as you come to Zoar. Lot chose for himself the entire plain of the Jordan. Lot traveled from the east, and they parted from one another. All these joined in the Valley of Siddim, which is the Dead Sea. This means that today this area is called the Dead Sea, but then, when Sodom and Gomorrah were cities, it was called the Valley of Siddim. When a man went out to buy a vegetable, he would say to his servant, “Go and buy me a vegetable for an isser [currency].” He would go to pull out the vegetable, and would find gold... silver... precious stones and gems underneath. They were satiated with their land’s crops and dwelled secure and tranquil without fear of war from their neighbors. They had a good life, and yet refused to offer a piece of bread to the poor... They wouldn’t show respect for their Lord by sharing their food with guests and strangers. It was decreed in Sodom that anyone who offered a slice of bread to a pauper or a stranger would be put to death by fire. Plutit, Lot’s daughter, was married to one of the distinguished people of Sodom. One day she saw a pauper in the street and felt sorry for him. What did she do? Every day, before she went to draw water, she would put food in the pitcher and clandestinely give it to the pauper to eat. In other words, there were cues from the environment that a horrendous disaster was looming, meant to arouse them to make a moral reckoning and correct their ways. But instead, they attributed it to natural phenomena. The two angels came to Sodom in the evening, when Lot was sitting at the gate of Sodom... The men [i.e., angels] took hold of his hand and his wife’s hand and the hand of his two daughters, out of the Lord’s pity for him. They took him out and placed him outside the city… he [the angel] said, “Flee for your life…” Lot said to them, “Behold now, [a certain] city is near to flee to, and it is small. Let me please flee there…” Therefore, he named the city Zoar. The Lord caused to rain down brimstone and fire upon Sodom and Gomorrah, from the Lord, from heaven. He turned over these cities and the entire plain, and all the inhabitants of the cities, and the vegetation of the ground. 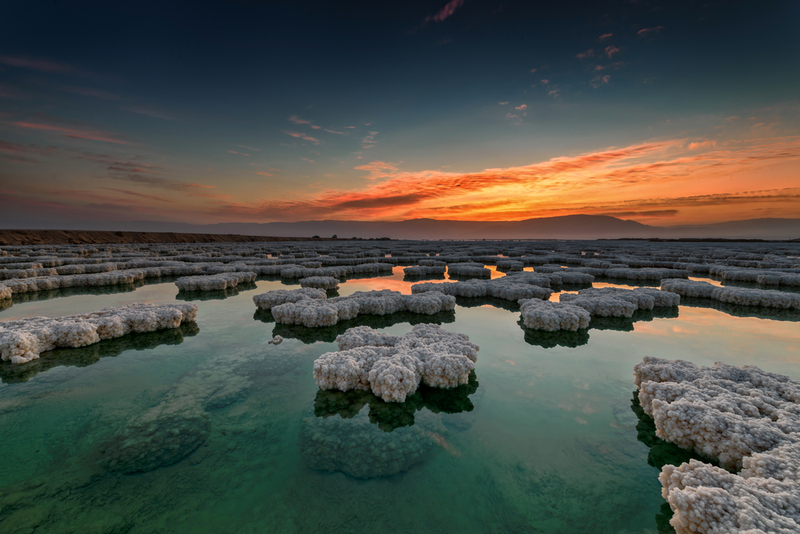 Today, anyone who passes by the Dead Sea can see clearly how the place was turned upside down. The mountains seem unnaturally cut and stand on their side, and the deserted region is saturated with salt—mute testimony to the cataclysm that convulsed the region. Where Were the “Cities of the Plain”? My heart shall cry out for Moab; its bars as far as Zoar, a third-born heifer. It happened that the sons of Levi went to Zoar, the palm city. 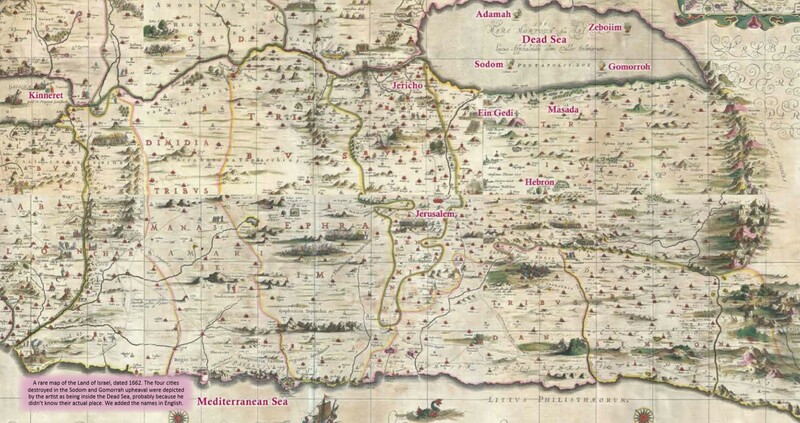 An interesting reference to Zoar was also found in the famous Madaba map, located in a Byzantine church in the city of Madaba, Jordan, and dated to the fifth or sixth century C.E. And as dawn rose, the angels pressed Lot, saying, “Get out”... they took him out and placed him outside the city [of Sodom]... The sun rose upon the earth, and Lot came to Zoar. The Sages say:  “These five [cities] lay on a rock plateau, and an angel stretched forth its hand and turned it upside down.” Thus, as noted above, the small town to which Lot fled during the upheaval was the sole remnant of the five cities, as he had requested. 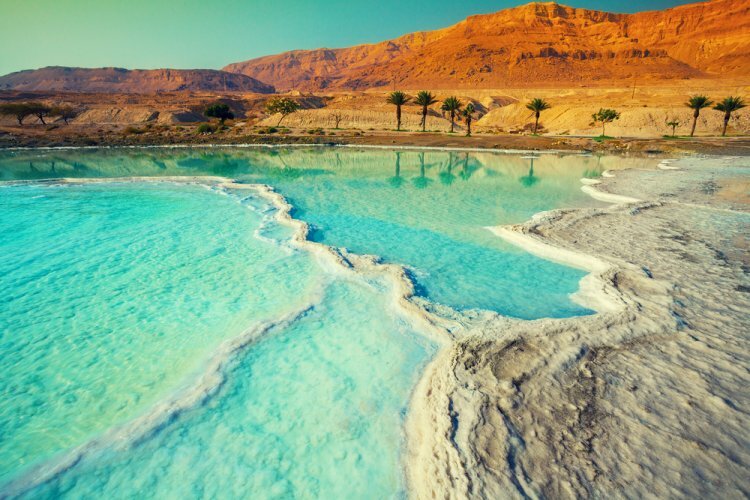 Until this day, the Dead Sea area serves as a powerful memorial to humanity: a place that held a large population and enjoyed a rich water supply and fertile vegetation was completely wiped out due to the sins of its inhabitants, who had corrupted themselves and refused to repent. It became a place utterly barren, filled with pillars of salt. Sulfur and salt have burned up its entire land! It cannot be sown, nor can it grow anything; not even grass will sprout upon it. It is like the overturning of Sodom, Gomorrah, Admah and Zeboiim, which the Lord overturned in His fury and in His rage. Nevertheless, the prophets of Israel’s promise us that in the future, at the end of Israel and humanity’s process of spiritual rectification, the entire Land of Israel will again bloom, yield produce, and pulsate with life. Pnei ha-Olam ha-Tanachi, Genesis, p. 49. Werner Keller, The Bible as History, p. 76. Da’at Mikrah, Genesis, Vol II, p. 41 (annotation 154a); See also: Label Resnick, Ha-Torah min ha-Shetach—Raiyot Archaeologiyot v’Historiyot la-Torah, Vol. 1: Torah, Reuven Mass, 2011, pp. 86-90.